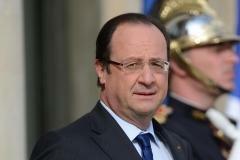 More than 8,000 French households' tax bills topped 100 percent of their income in 2012, according to a French newspaper report. Citing data from France's finance ministry, the business newspaper Les Echos reported on Friday that in addition to those taxed at over 100 percent last year, almost 12,000 households paid taxes worth more than 75 percent of their 2011 income and that a further 9,910 households were taxed at more than 85 percent of their income. The paper said this was due to a one-off levy imposed on the 2011 incomes of households with assets of more than 1.3 million euros ($1.67 million) . The surcharge was introduced by socialist President Francois Hollande in an attempt to offset the cost of a rebate scheme and taxation cap introduced by former President Nikolas Sarkozy, the paper added. "In 2011, 5,221 households had a tax rate of more than 100 percent on their revenues, Some 6,203 households had a rate of more than 85 percent and 6,343 house holds a rate of more than 75 percent," the newspaper said but households could take advantage of a "tax shield" introduced by Sarkozy to cap an individual's overall taxation at 50 percent of their income. Last year, for the first time in 25 years, Les Echos reported, that cap was removed which "substantially increased [the tax rates'] impact." President Francois Hollande's government back-tracked in 2012 over a proposed 75 percent tax rate on earnings over 1 million euros that he had pledged to introduce when he came to power. The country's Constitutional Council said such a high income rate was unfair and could be viewed as confiscatory, suggesting that the government should deflect it onto companies instead, in turn causing uproar in the business world . Jennifer McKeown, senior European economist at Capital Economics told CNBC that the surcharge highlighted the fact that Hollande was not ready to ease his stance towards the country's wealthiest. "I think it emphasizes that, despite the fact that the controversial "millionaires' tax" has been watered down, Hollande's policies are still targeting wealthy households," McKeown told CNBC on Monday. "The impact on consumer spending should be reduced by the fact that these households' propensity to spend out of their income tends to be relatively low. But with unemployment very high and rising, average income households also have little reason to spend. And there is a risk that France's 'tax the rich' policies cause it to lose some high earners and even entire successful businesses to overseas, which it really needs to boost its productivity," she added. France last week reported an economic contraction of 0.4 percent in the first quarter, compared to the same period a year-ago.